Susan Schadt Press LLC, 9780997355925, 272pp. At 4,500 acres, the Shelby Farms Park in Memphis, Tennessee, is the largest urban park in the United States--more than five times the size of New York's Central Park. This book about the vision, process, benchmarks and priorities that led to the building of this great park show how people with vision can change a community, and how support from the public can protect land for future generations. 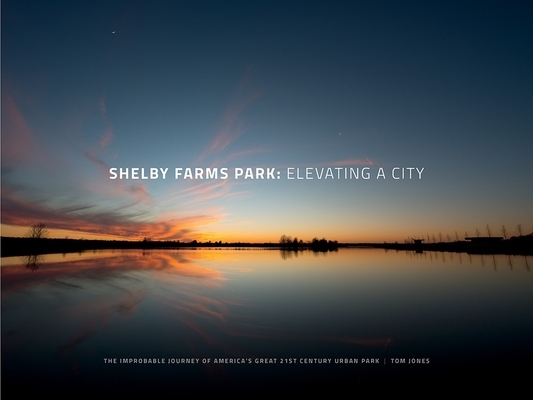 Written by Tom Jones with contributions by nationally known park experts and Shelby Farms Park leaders, including James Corner, Alex Garvin, Peter Harnik and Laura Morris, Shelby Farms Park: Elevating a City includes stunning photography by Justin Fox Burks and Murray Riss.